Launched in March 2017, Samsung Galaxy C5 Pro comes with HD audio-video quality comparable to a home-theatre system. The smartphone is provided with spectacular rear and front-facing cameras. Samsung Galaxy C5 Pro comes with a Super-AMOLED display that gives you a great experience when you watch your favourite videos. The colours of its 5.2-inch HD display become more vibrant and give you a flagship-level experience. Powered with 2.2 GHz Snapdragon 625 processor, Galaxy C5 Pro is backed by 4GB of RAM for smooth user experience. The smartphone packs a 16MP front-facing camera and a 16MP rear camera for amazing pictures and videos. Samsung Galaxy C5 Pro runs Android 6.0 and is powered by a 2600 mAh non-removable battery. Unfortunately, both the features are obsolete, especially in today’s day and age where you can easily upgrade to a newer, better smartphone, and that too, in your budget. 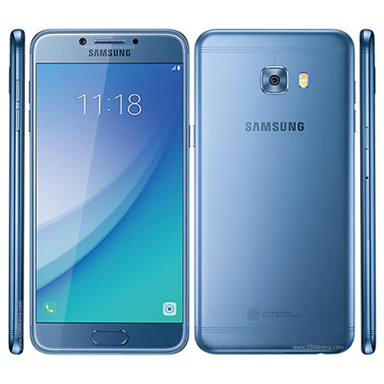 You can sell old Samsung Galaxy C5 Pro on Cashify.com and upgrade to a brand new feature-packed Smartphone, today. Why Sell Your Old Samsung Galaxy C5 Pro On Cashify? 3. Select the Galaxy C Series under the Series menu on the left-hand side. 4. Now, select Samsung Galaxy C5 Pro and you’ll see an estimated price to sell old Samsung Galaxy C5 Pro for right away. Here, you need to provide some basic information about your used Galaxy C5 Pro and your job is done. You will see the exact resale value of your smartphone right there. We arrange a free pick-up and provide you with the payment at the address of your choosing.